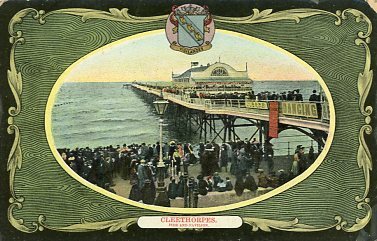 Cleethorpes was opened on the 4th August 1873 during the golden age of pier building and like many, it was originally considerably longer than it now is. 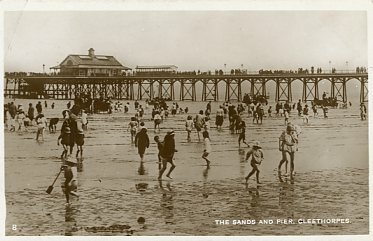 Many piers were built to accommodate pleasure boats docking to carry visitors into the town and beach. 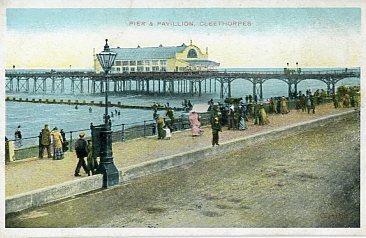 At Cleethorpes, the pier was originally 1,200feet long, because the tide went out so far. In 1883 a concert hall was erected at the pier head, which burned down in 1903. 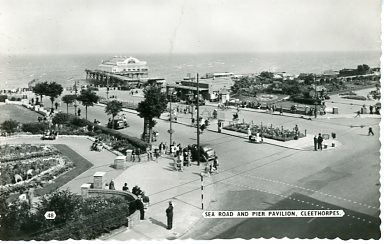 In 1905 a new pavilion was built on an extension about a third of the way down the pier from the landside. 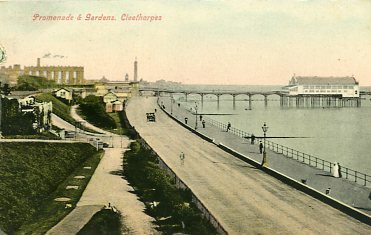 Like many piers at the outbreak of the second world war, the pier was cut to stop it being used as a landing stage for the enemy, then in 1949 the seaward end was badly damaged in a storm and the council demolished part of its connecting jetty. Since then it has been a long sad story of changes of ownership, an apparent lack of interest from the council, lots of money spent on refurbishments that never seems to bear fruit long term and poor management. It was briefly renamed Pier 39, after the one in San Francisco, despite having no resemblance to its American counterpart at all, its’ club had been closed down because of poor hygiene and had its drinks license suspended because of rowdy behaviour. 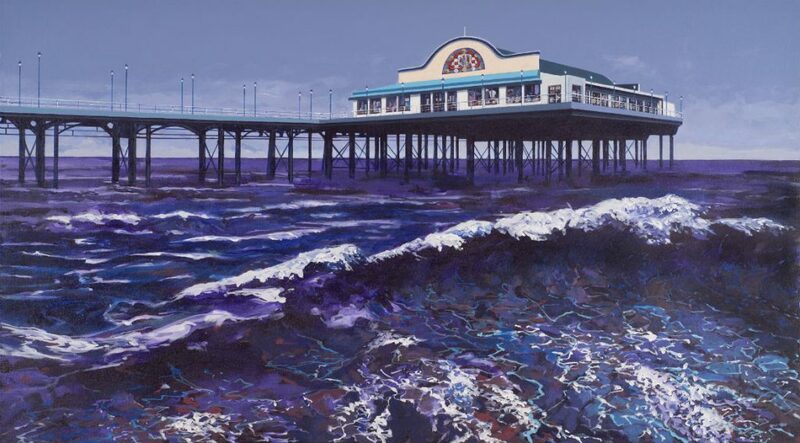 The latest owners bought it in 2016 and claim that it is the largest fish and chip restaurant in the country.